Hello there! 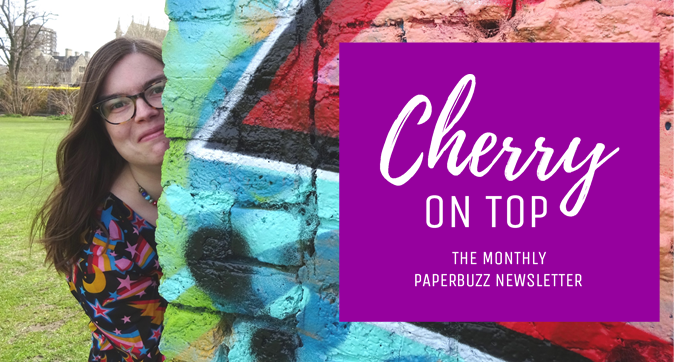 I'd love to send you my monthly newsletter - Cherry On Top. You'll find out about the monthly theme - topics such as gratitude, surprise, curiosity, wonder and excitement and how I got on trying out activities relating to it. They'll be links to my Paperbuzz blog posts, and I'll recommend books, Pinterest Boards and TED Talks that I find inspiring - I hope you will too. You'll also get sneak peeks for the month ahead - new products, the new theme, and things to do / places to visit that look colourful and fun!